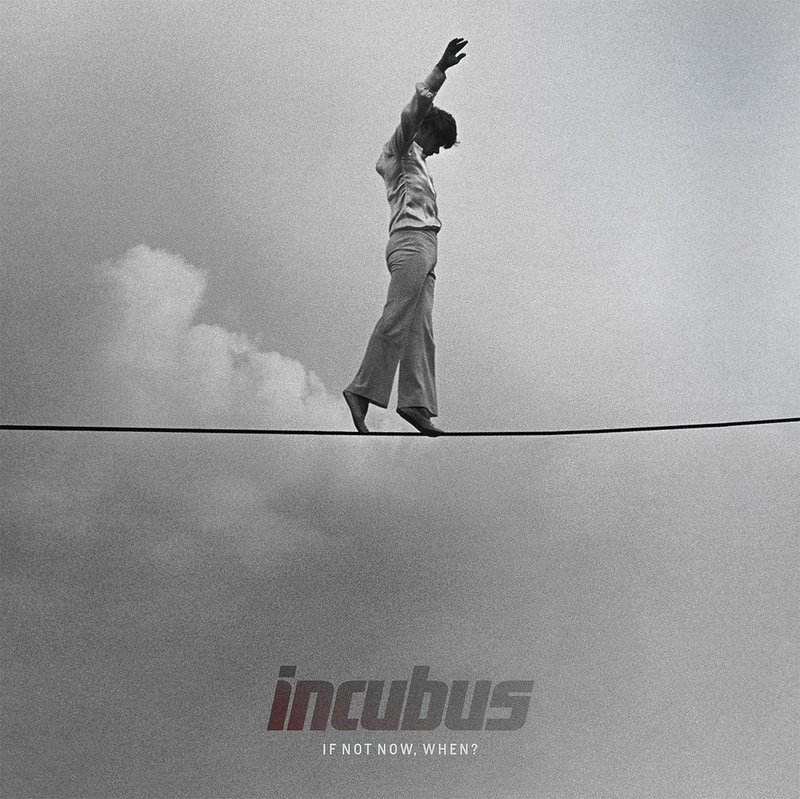 Incubus are a rare example of the increasingly endangered species: the album band. Their last four studio albums, including the recent If Not Now, When?, all reached number one or two in the US album charts, though hit singles have been rare. Having announced themselves as a grunge-alt-metal band with Fungus Amongus (1995) and graduated to psychedelic funk-rock with their third album, Make Yourself (1999), Morning View (2001) saw the band continuing to mine the alt-rock vein, but their fifth album, A Crow Left To Murder (2004), their first with star producer Brendan O'Brien (Pearl Jam, Bruce Springsteen), incorporated jazz and prog-rock influences. O'Brien also produced the lighter Light Grenades (2006), as well as If Not Now, When? 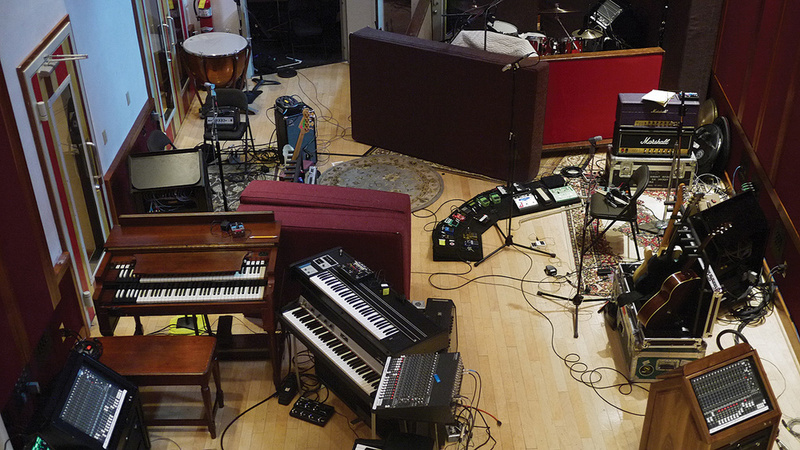 Sessions for the album began at Nashville's Blackbird Studio A in January of this year, with Tom Syrowski engineering. Originally from Ohio, Syrowski is a graduate of the Full Sail school in Florida, from which he graduated in 2000. Following this, he further cut his teeth at Henson Recording studios in Los Angeles, working his way up to fully fledged engineer. Freelance since the beginning of this year, Syrowski has spent all his professional time since 2009 as O'Brien's engineer, clocking up credits such as Bruce Springsteen, Anberlin, Pearl Jam and Brandon Flowers. His first experience with Incubus was as an assistant on Light Grenades. Syrowski takes up the story: "One reason we went [to Blackbird] was because people wanted to be far away from the distractions that Los Angeles can provide. The studio is fabulous, with a big 72-input 8078 Neve desk, a great recording room, and loads of guitars hanging on the wall that you can just pull off and use, as well as many amplifiers. We did a couple of weeks at Blackbird in January, and then we went back later for another couple of weeks, and after that we took another couple of weeks at Henson to finish the record. The strings and many of the guitars were recorded at Casa Chica in Malibu, which is Mike [Einziger]'s place. 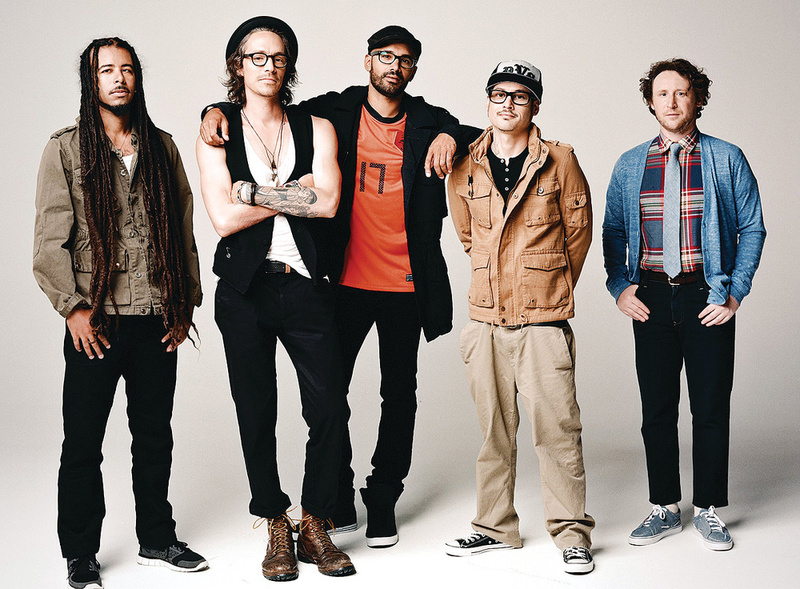 He recorded them himself, which is why he has an assistant engineer credit.” Incubus, from left: keyboard player and DJ Chris Kilmore, singer Brandon Boyd, bassist Ben Kenney, drummer Jose Pasillas II and guitarist Michael Einziger. 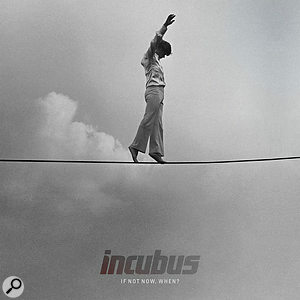 "After the loop and guide vocal and guide guitar were recorded, José [Pasillas, Incubus' drummer] would come in and overdub real drums, and after that we typically recorded the bass, and then the basic guitars, if we wanted to replace them. Next, Brandon usually sang the vocals, because they would determine what other instruments we needed in the arrangement. You don't want the vocals to get in the way of the guitars, or vice versa. After that Mike added more guitars, Chris [Kilmore] would add his keyboards, usually Rhodes, Mellotron, Moog stuff, piano or synths, and so on. With this philosophy in mind, the goal for If Not Now, When? was to record everything at source exactly the way the company wanted it to sound, and for the engineer to continually do rough mixes as they went along, so that O'Brien's final mixes would, to a large degree, be a matter of simply balancing what was already there. "During all the recording sessions we tried to get things to sound the way we wanted right from the beginning, at source,” says Syrowski. "This meant choosing the right amps, mics and signal chains, and also adding any effects we wanted to have while recording. We don't take the approach of fixing it later in the mix, we mix from the moment we are recording. When the band comes in after a take and wants to hear what we did, we want it to sound like a record. In order to do that we have to have all the effects rolling while recording. If things sound really good, and there's a delay or reverb or something else happening, the musicians will be playing their parts better. You'll get better performances, because they'll experience more of a vibe. 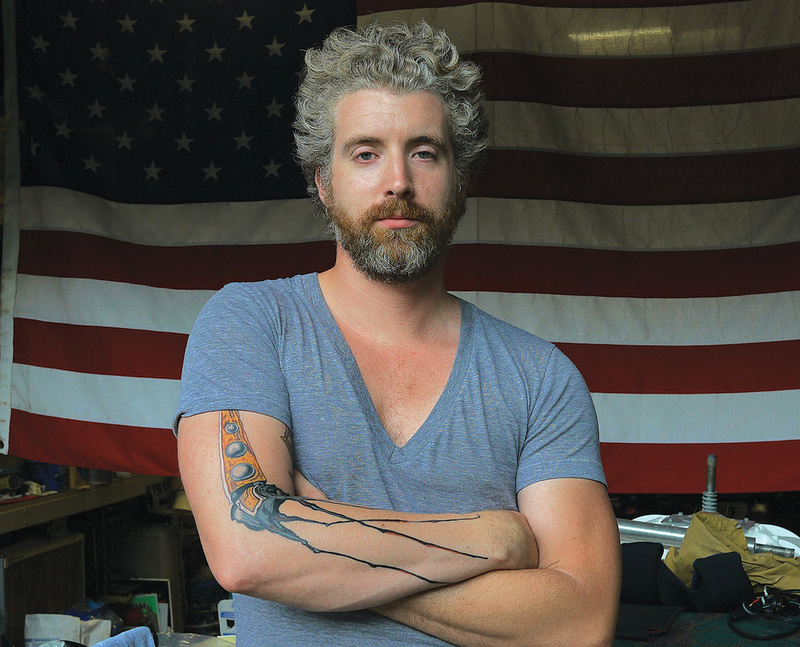 "For recording the drums, Brendan has an AKG D30 microphone that we used on the kick drum. It's a Beatles-era microphone. In addition, I use a [Sennheiser] 421 on the inside of the kick drum, a Shure SM57 and an [AKG] 451 on the top of the snare, and for overheads I used [Neumann] KM86s. They're small-diaphragm condensers, and I had just bought some and love them on just about anything. I had a 421 on the top and an SM57 on the bottom of each of the toms, going into the console via a Y-cable, so the signals from the 421 and the 57 were blended in the cable and came up under one fader on the console. For some reason that works and sounds really good. We also had what we call a kicksnare mic, which is an AKG 414 in figure-8 placed just underneath the snare, pointing at the kick-drum beater and the bottom of the snare drum. We move it around until kick and snare have roughly the same volume level. "Regarding drum ambient mics, I had [Neumann] U67s as more far-away room mics, and for close rooms, again SM57s, blown up with a nice compressor, like an 1176. The studios in Blackbird have airlocks between the rooms that allowed us to change the acoustics simply by opening doors, and when we put mics in there, usually the Neumann tube version of the KM54c, we got some crazy, amazing sounds. For a while we were using any kind of room mics and then putting some reverb on the snare and so on. After putting mics in those airlocks, the room sounds became a big part of the drum sound. I've been recording fairly dry drums for so long, it was nice to put some real reverb on the drums! We also had a mono room mic, though what mic we used changed every time. It didn't form an integral part of the drum sound, but if Brendan wanted to create a big, huge snare drum, he'd send the mono room sound to a reverb and automate it so it happens at certain times in the song. "The bass was recorded in Nashville with an Ampeg Micro-VR, which is a solid-state bass amp with two eight-inch speakers that looks like a midget SVT. But it sounds great, just like a real SVT; the difference is that you don't have to worry about the bass sound leaking through the walls, because it's so small. We also used a vintage Ampeg Fliptop B15, which belonged to Blackbird. And we used a Line 6 Bass Pod, dialled in a cool bass sound, and recorded that via a DI. I had [Neumann] FET 47s on each of the bass amps. Mike recorded the strings and all his main replacement guitars at his house [see box] but at the same time we kept all the initial guitar parts, and sometimes there were small overdub guitar parts that we did in the studio. Insofar as we recorded Mike's guitars at Blackbird and Henson, he used mostly combo amps, and the Blackbird studio has a whole room full of amps, so we just went in and grabbed what sounded great. He used a brown Fender Deluxe for most of the recordings at Blackbird, as well as a Fender Super Reverb. "We mainly used SM57s on the cabinets, sometimes KM86s, and I usually have one mic pointed straight at the dust cap [of the speaker cone] and one at an angle. That's the main sound, and I'd also often stick a 57 at the back of the amp and EQ that really wacky. We call that the '3D sound'. If we want the guitar to poke out, we turned up that mic. When you overdub lots of guitars, you pretty soon start to lose clarity, and if we had an additional overdub that wouldn't sit, we'd simply crank up that back mic. At Henson, the guitars went through the Neve BCM10 sidecar, then into a Neve EQ, and an LA2A or Dbx 160. Not all the guitars were compressed, but sometimes you want that sound. Mike has his own pedal board, but sometimes we'd throw in some other pedals, and we also sometimes used a Leslie cabinet. As I said, we wanted things to sound right from the first moment. 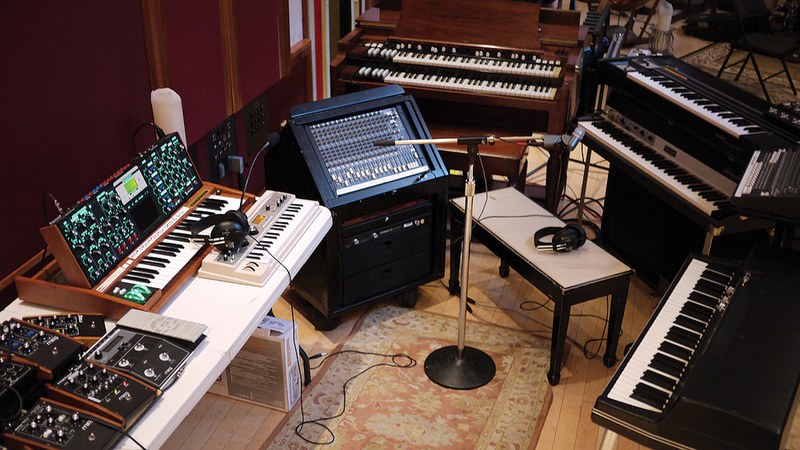 "The keyboards Kil played included the Moog Voyager, a Fender Rhodes, a Wurlitzer, a B3, a piano, and the new digital MD4000D Mellotron synth made by the Mellotron company, which is a fabulous instrument, which we ran through a DI, sometimes with a few pedals before the DI to make it sound more interesting. A close-up of Chris Kilmore's keyboard setup at Blackbird. Kil used to be mainly a turntablist, but he has taken keyboard lessons and he now has this huge rig that looks like a prog rock rig! He still scratches, but he now mainly plays keyboards. I recorded the B3 with the [Neumann] U87 on the top of the Leslie cabinet, and at the bottom there was a 421, going into the Neve desk. I'd also use a [Urei] 1178 as a compressor. The Yamaha C7 grand piano at Nashville was recorded with an AKG C24, the stereo version of the C12. The cool thing about that particular C24 is that it has serial number 001. It's the first one ever made! The mic pres were the Neve console, and I used a Fairchild 670 compressor. Unusually, If Not Now, When? does not have a mix credit. 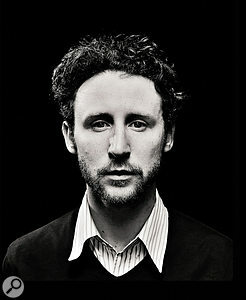 Brendan O'Brien is known for mixing most of the material that he produces, but the album production credits mention him only as producer, plus Syrowski as main engineer, and five assistant engineers, including Einziger. As Syrowski says, "the technical and sonic decisions had mostly been made while recording”; but many of the details of the arrangements were still in flux at the mix stage. "A lot of the decisions were taken towards the end, during the mix,” explains Michael Einziger. "Up until the mix, we were still trying things out, seeing how they would work. Some of the songs had larger arrangements than others and required more time and energy. We also like to spend some time with the music alone and let it sit for a bit before we go into the mix. For us, a lot of detail work happened during the mixing stage. It's when we sifted through all the parts, and sometimes changed things, or even added things. The screenshot for 'Adolescents', the first single from If Not Now, When?, is post-mix, and with only three plug-ins visible, it illustrates how little Brendan O'Brien and Syrowski work in the box. 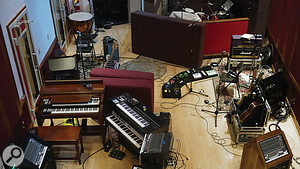 The session is well-organised and colour-coded, with four mixes at the top, then drum tracks, bass, guitars, keys, vocals, and some additional percussion tracks right at the bottom. 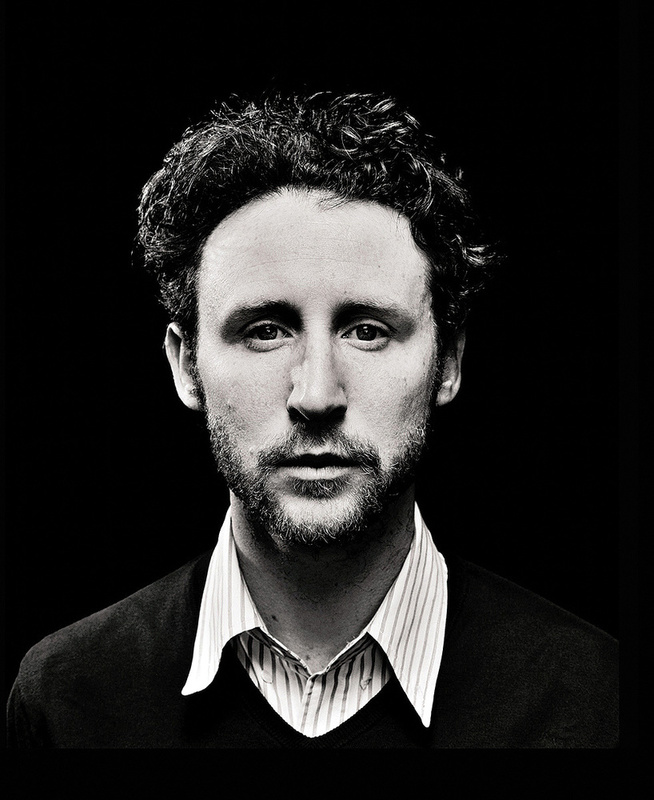 Syrowski: "As I mentioned before, 'Adolescents' was recorded live by the band in Henson Studios in LA. The mics and signal paths I used were pretty much the same as I outlined before, but because we didn't have the Neve desk, I used the studio's eight Neve 1089 units for mic pres. 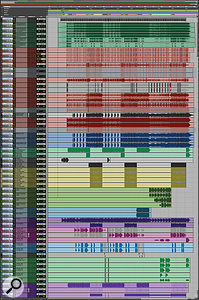 This composite screenshot shows the Pro Tools Session from 'Adolescents'. 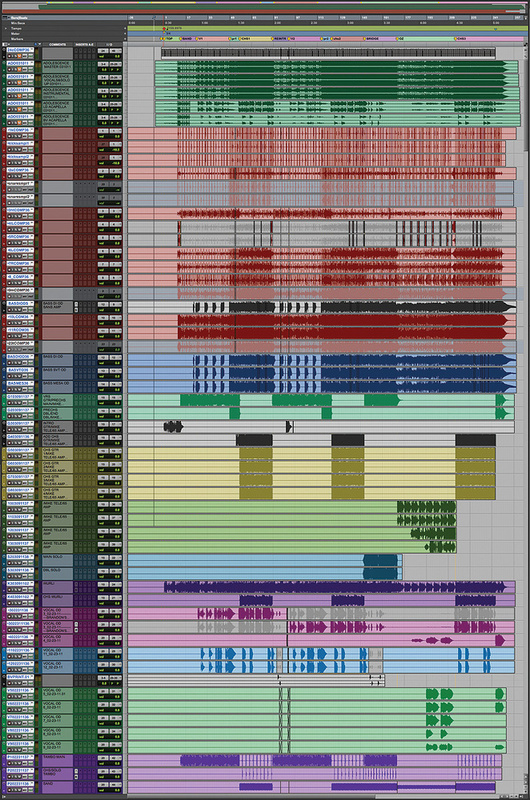 The tracks are colour-coded: bounced mixes (top) in green, then drums (red), bass (blue), guitars (various shades of green), Wurlitzer piano (purple), lead and backing vocals (pink, blue and green) and finally tambourine and sandpapered ping-pong bats (purple). "On the screenshot, you see track '1C36', which is the kick mic, and underneath that are two sample kick tracks. Over the years, when we have a particularly good drum sound, we'll sample it, which is done by our Pro Tools guy, Billy Bowers. If we feel that the kick needs some support, Billy will put in a kick sample. 'BassMesa' refers to Ben Kenney's Mesa Boogie amp that we used in LA, and 'VRS' stands for verse and refers to the verse guitars. I use the Comments section [in Pro Tools] quite a lot, so I know what we did. At the bottom of the Session is a tambourine, and where it says 'sand' it refers to two sandpapered ping-pong paddles that are rubbed together. They sound a bit like a shaker. If you listen to the track, you'll hear them. "Because we get everything to sound great while tracking, Brendan can mix pretty fast. As you see, he doesn't do much in the box. The 'R' plug-in in the tambourine is the [Waves Renaissance] Compressor and the 'S' on the bass is the Sansamp, and that's it. The drums are all going through the Transient Designer drum-sub compressor from the very first day we're recording, and it's also part of the final mix. As I mentioned, we have all the effects set up while tracking, ranging from compression on the vocals, so the singer can hear it in his headphones, which will make him sing better, to reverb, delays, and a tape slap on the sends of the console. For the tape slap, we use an ATR half-inch tape machine — we like to use real tape and it has a VSO [varispeed oscillator] so we can dial in the time and stuff like that. For digital delay, we use the PCM42 and for reverbs, we use the Lexicon 480L and the EMT250, which was the first digital reverb and which sounds amazing.